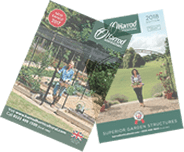 Our UK designed and manufactured plant supports, include our link-stakes and border restraints which are both made from steel wire up to 6mm thick and available in Dark Green Olive or Natural Rust finish. Both finishes carry a 5 year guarantee. 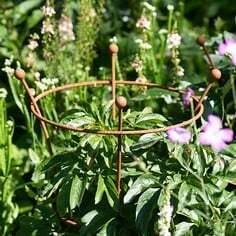 Harrod Vintage Steel Wire Plant Supports will add a sculptural elegance to any border, available in Trumpet and Circular designs, will provide a durable and reliable plant support for many years. 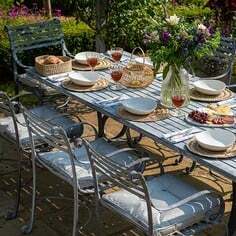 Choose from 2 distinctive finishes - Classic Matt Black Powder Coating or the increasingly popular Natural Rust. Again both finishes carry a 5 year guarantee. "A larger support and used for looks rather than use, I love the shape of it and the look of the rust. It sets off surrounding plants really well. A very successful xmas present bought by my daughter." 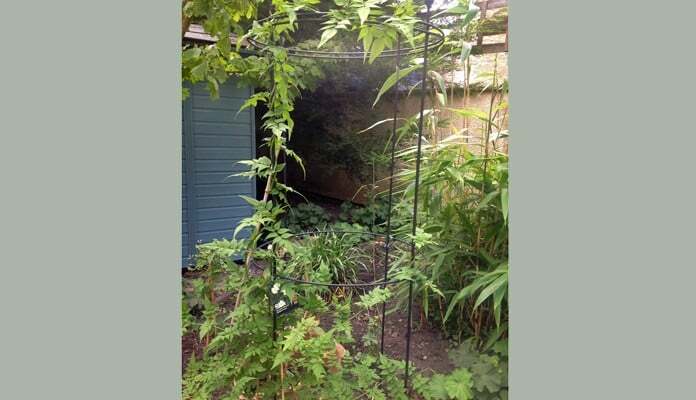 "I recently purchased two circular plant supports and I am very pleased with how I have been able to utilise both of them. I used one to support my delphiniums and because they grew so tall this year the support worked very well. 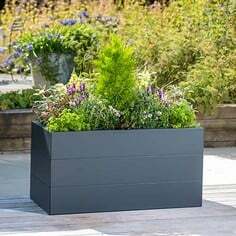 The other was used to support a new Jasmine plant which is trailing up the support without any need to tie it in." 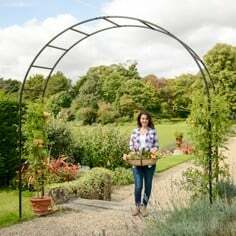 "The trellis is excellent quality and provides ideal support for our jasmine plant, showing it off beautifully against the wall and fence. We bought two frames and installed them side by side." 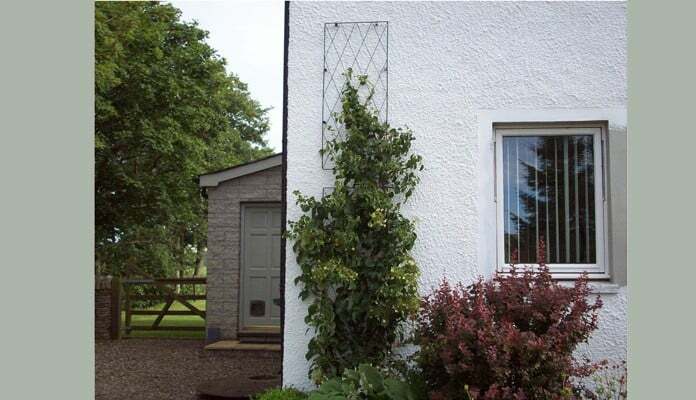 "We put one trellis above the other to support a climbing hydrangea. They look very smart on our newly painted house wall." 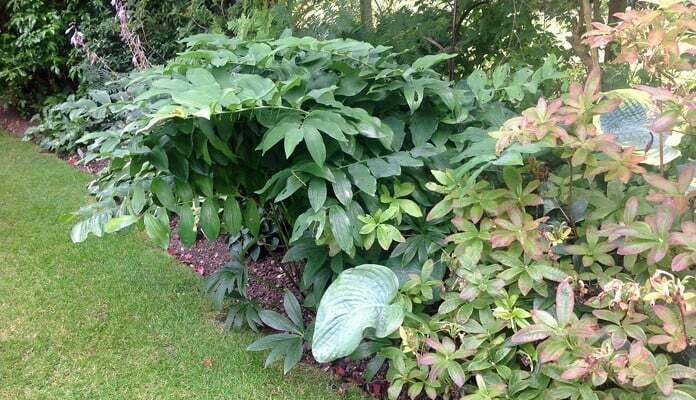 "The plant support is much better quality than the usual offerings in local garden centres. The finish is good and the ball ends make an attractive feature. 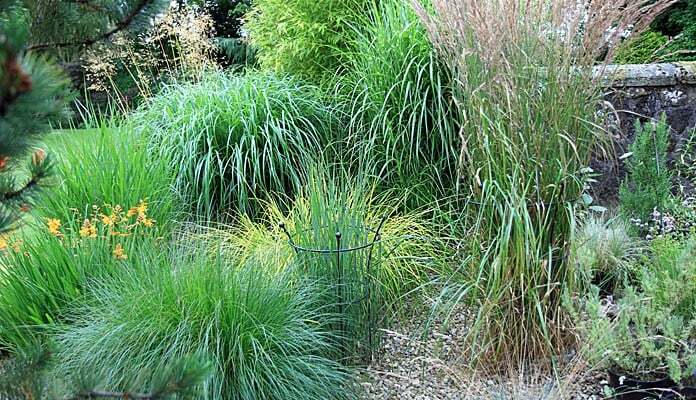 It is important to select the right diameter for each plant as there is a range of sizes available. Another time I would get a good length so they are stable in the ground but smaller diameter. Highly recommended products." "Here are the link stakes in use. 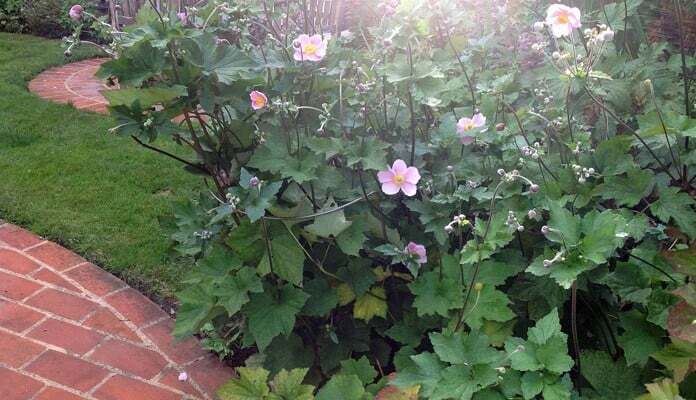 The difficulty is, they blend in so well that you will have difficulty spotting them in the photos. 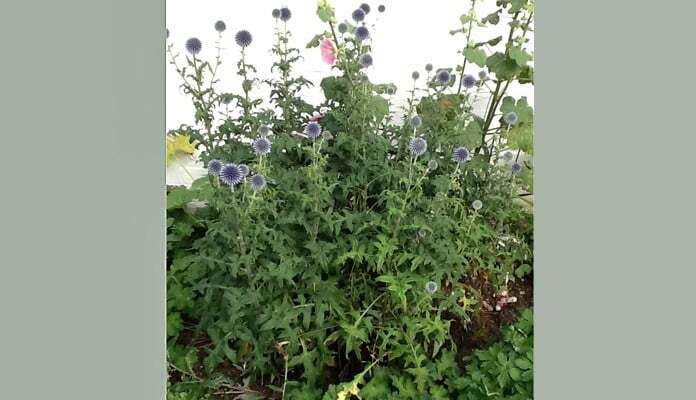 They are holding a large Echinops in place, stopping it flopping onto its neighbours. They went into the rather dry ground very easily, around a plant that was already quite large, and the olive green colour is excellent - just vanishes. I wish I had ordered more, and would do so." "The difference these supports have made to "our garden" is twofold. Firstly the are unobtrusive and secondly they have saved our marriage as my husband no longer mows the plants down as they don't trail on the ground. "My" garden is now safe-er!" 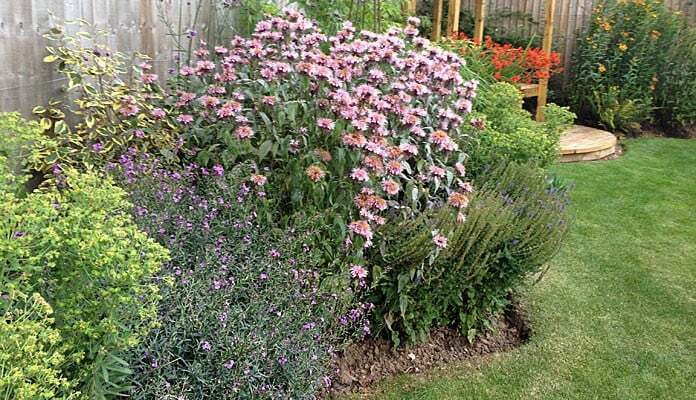 "We live in a very exposed area and the garden is often wind swept. 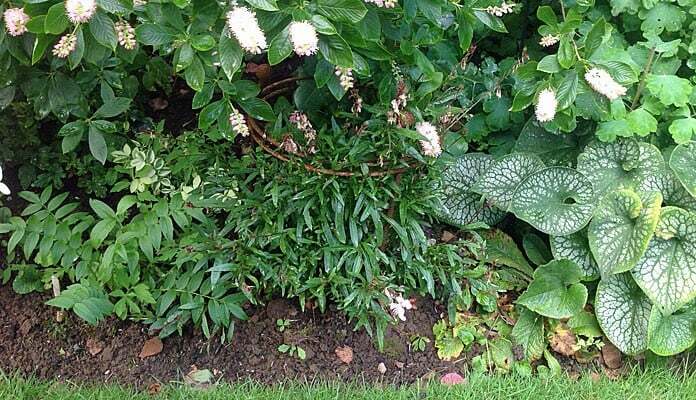 Your support to date has been very useful and has added a lovely dimension to the border." 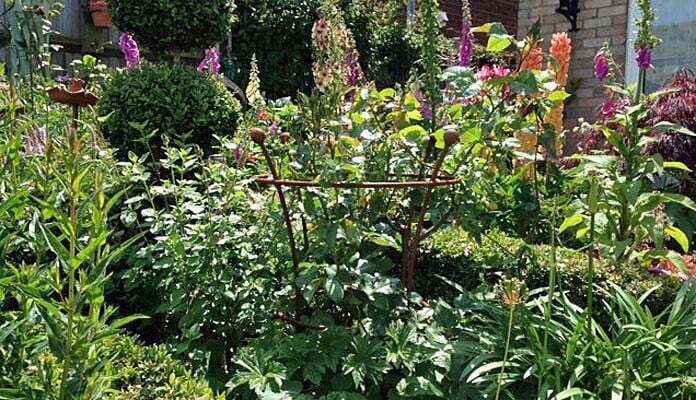 "I purchased a set of 3 trumpet plant supports. This photo shows the trumpet supporting a yellow rose that was getting swamped and another is supporting a weeping tree, behind a massive azalea… which I want to go UP before it weeps, just visible on the right of the photo. I will probably be buying more. They are great." 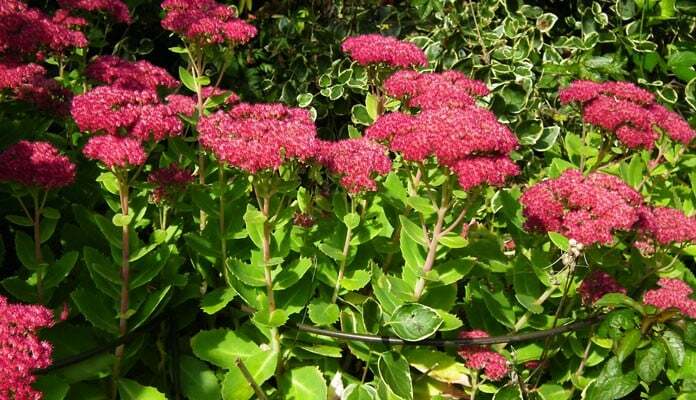 "Your border restraints are holding up our sedum. Last year they flopped everywhere. 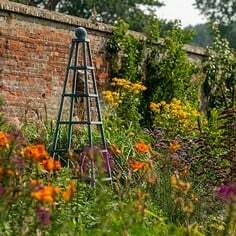 Not this year thanks to your great product"
"Link Stakes enables delineation between plants keeping them erect and tidying. 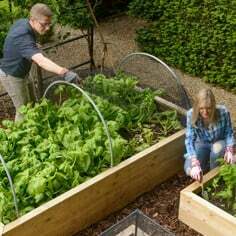 Particularly good at lifting the plants off the lawn." 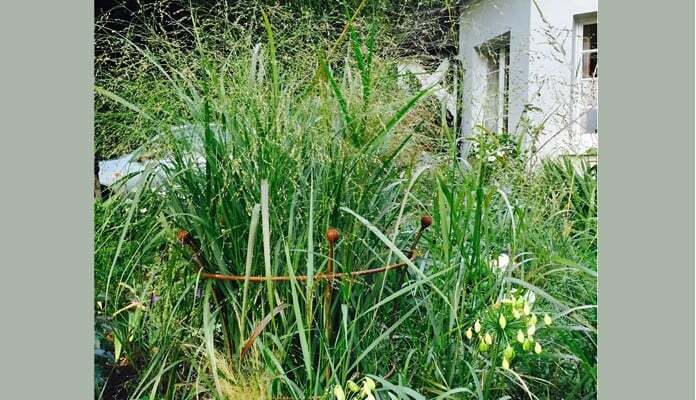 "Photo of the plant supports on our grasses bed. The third support is hidden in the grass behind and as you can see they are doing a fine job, although the photo doesn't do them justice. Brilliant well made supports! "I am delighted with the border restraints, particularly as they are totally unobtrusive. 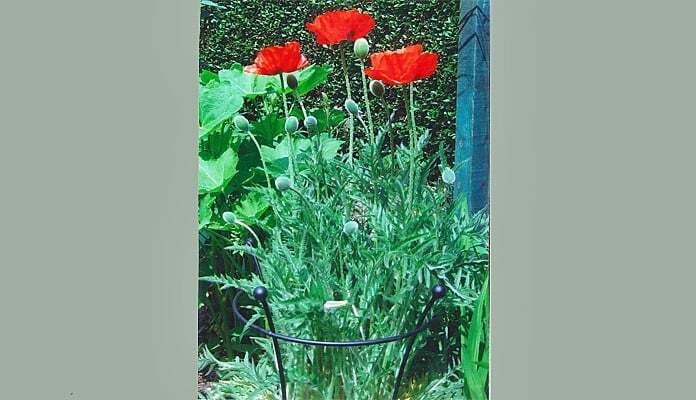 I can set them at a height to suit the plants they are holding up, so that the effect is totally natural." 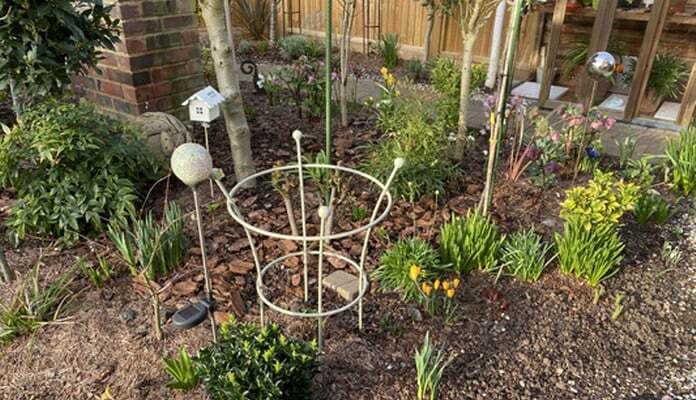 "I have used the first lot of link stakes to tidy up the rose bed and it is a decided improvement, the rose bushes look far happier than they did when they were all flopped on the ground." 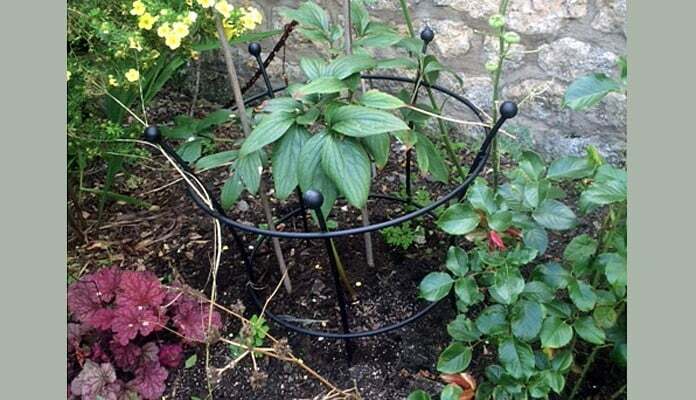 "Circular plant supports are effective in keeping plants in order and they are certainly eye-catching." "These stakes are much stronger than previous versions. They don't bend easily and so are good rigid supports. This also is useful as they have better penetration properties when pushing into soil. They offer support that is hardly seen unlike ugly traditional bamboo canes." 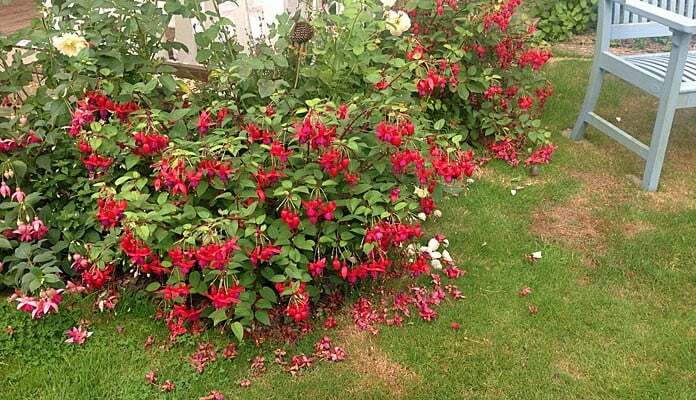 "The difference these have made to "our garden" is twofold. Firstly the are unobtrusive and secondly they have saved our marriage as my husband no longer mows the plants down as they don't trail on the ground. "My" garden is now safe-er!." 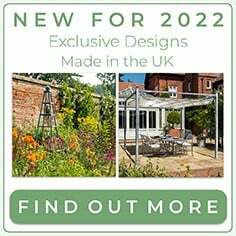 "We are delighted with the 2 lattice wall trellis panels which we purchased from you earlier this year. The panels are completely covered with a vigorous growing clematis- so much so that there is not even a glimpse of the panel is to be seen! 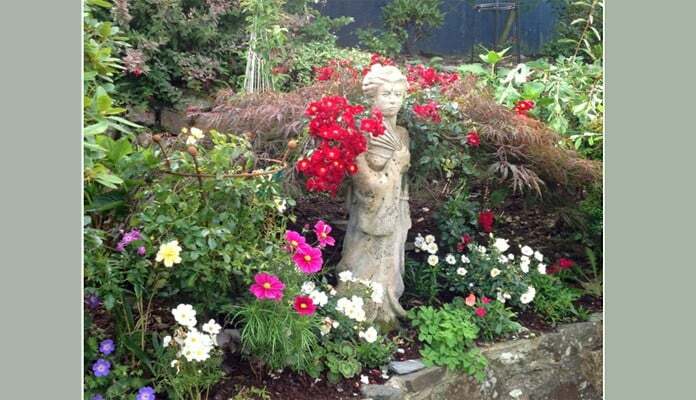 "I have been very pleased with all of the plant supports that I purchased. The trumpet shaped ones I used for peonies and they have done the job nicely. The tall circular one has also been successful."